There’s nothing better than a sweet, crunchy cookie. Simple keto shortbread cookies are easy to make a will give you that yummy cookie taste we all love! When I was young, I remember my grandmother always having around a circular, blue tin of shortbread cookies close-by. Every time I went to her house, they were somewhere within reach, it seemed. Sometimes they were in the cabinet. Sometimes, they were on top of the refrigerator. The rest of the time they were sitting in the middle of the kitchen table taunting me. If I got extra lucky, she had them in her hand, lid off, ready to go by the time I had gotten out of the car and made it to the front door. After a quick Google search, it turns out these cookies still exist. They are made by a company named Royal Dansk and are called “butter cookies”. I think it’s just a fancy way of saying “yummy and delicious shortbread cookie awesomeness”. I’d always eat a few (or a lot) of them each time I visited. I even had to be fair, too, since each tin contained several different cookie “designs”. A few of each wouldn’t hurt, right? The bad news is, these keto shortbread cookies don’t come in a tin, nor do they come in various designs. The good news is, they are buttery, sweet, and yummy. When we were looking to make these, our main goal was to recreate the crunchy, buttery taste. Finding the “just right” level of sweetness was also a priority, kinda like the porridge that was not too hot and not too cold; just right. It takes just a handful of “keep on hand” keto ingredients to make these cookies extra delicious. Do yourself a favor and make a batch for a sweet treat after your next meal! There's nothing better than a sweet, crunchy cookie. Simple keto shortbread cookies are easy to make a will give you that yummy cookie taste we all love! Let cool and gobble down! Do you have to use a silicone liner? You do not have to use the silicone liner, it just greatly helps with cleanup and keeping the cookies from sticking. You can grease the baking sheet you are using before use and that should work just as well. 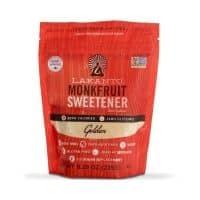 Can I use Splenda instead if the monkfruit? You can use Splenda, but be very careful about the hidden carb count of Splenda (especially the powdered kind)! I just made these cookies and they are awesome! So delicious! When I tried them, they were just warm…they crumbled easily. Maybe they needed to cook longer???? I was going to put them back in the oven but they were not raw. 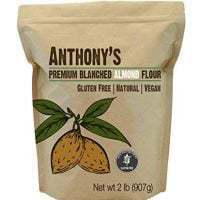 I sprinkled them with xyletol which gave them a sparkle and added crunch. As long as you liked the taste, that’s all that matters! Next time if you want, bake them longer and see which you prefer! Glad you liked them!